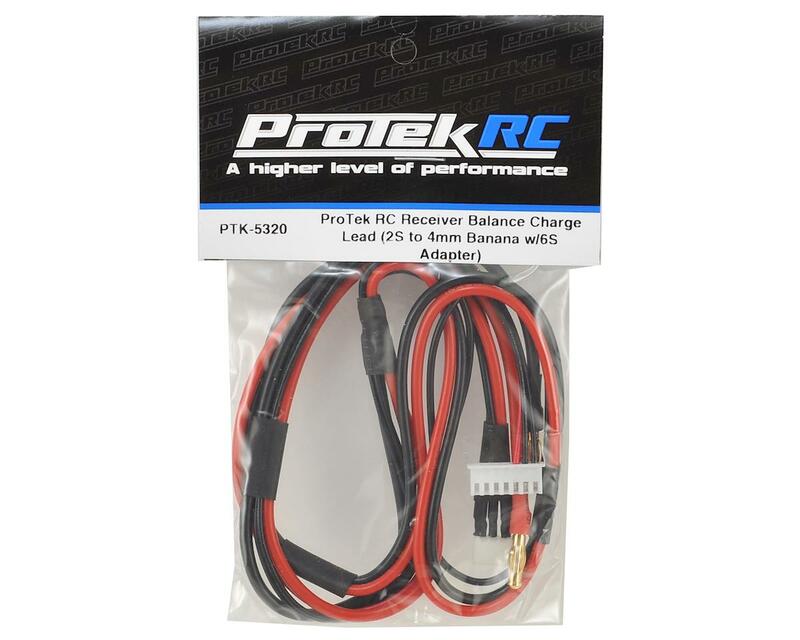 This is a ProTek R/C Balance Charge Lead with a 2S Balance Harness to 4mm Banana Plugs with 6S Balance Adapter. 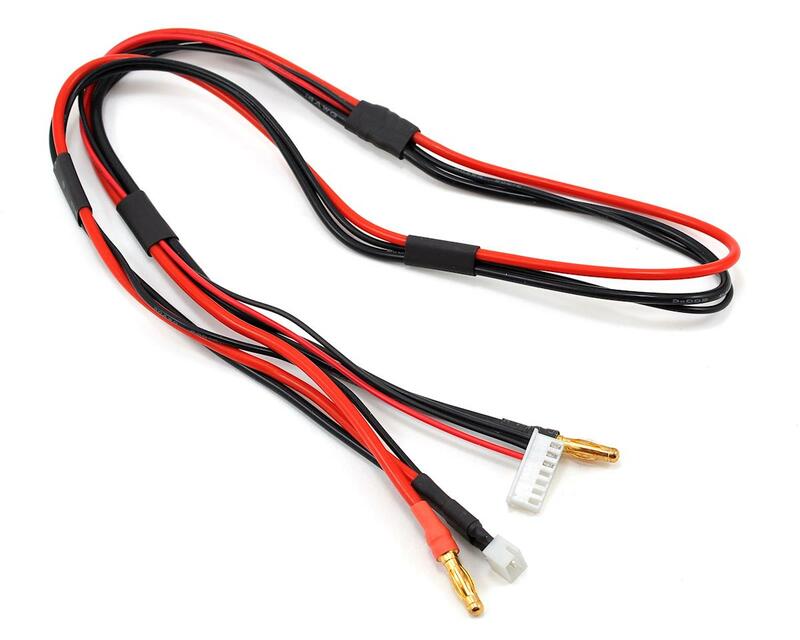 This incredibly handy charge lead was developed to provide users with the option of balance charging smaller 2S receiver batteries directly through the balance connector. This eliminates the need to remove the pack from your model, or charge through a switch! Simply plug the banana plugs into your charger, plug the balance connector into a 6S balance socket, and plug the receiver pack into the female 2S XH plug, and you can charge your receiver packs in the field more conveniently that ever before. Simple, useful, and only from ProTek R/C.